With over 100 projects annually in some 25 countries throughout Africa, Asia and the Americas, Malteser International provides emergency relief after disasters and supports recovery efforts with a focus on sustainable development. For nearly 60 years, Malteser International has been standing by those affected by poverty, disease, conflict and disaster, helping them lead a healthy life with dignity – without distinction of religion, race or political persuasion. Malteser International is a non-governmental organization with headquarters in Europe and America. Malteser International’s General Secretariat and its European headquarters are located in Cologne, Germany. The American headquarters are based in Miami, Florida, USA. 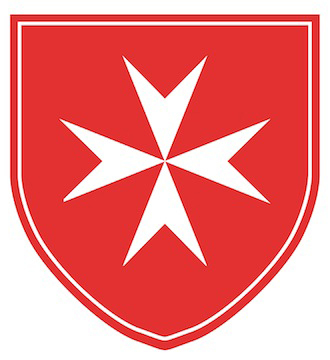 The international network of the Order of Malta plays an essential role in Malteser International’s work, allowing the relief agency to help people in need quickly and efficiently. Reducing the risks of disaster, especially at the community level. Malteser international provides emergency relief in crises such as natural disasters, epidemics, or armed conflicts. During acute crises, teams from Malteser International are on the ground as soon as possible to provide emergency medical care, and ensure the supply of food and other essential aid materials as needed. From the very beginning, the rebuilding and recovery of the affected area is one of the essential considerations. Wherever possible, Malteser International also provides transitional aid and assistance to reduce the risk of future disasters – remaining present long-term at the scene of more protracted crises. Supporting the health of the person in an integrated way is the central aim of the work of Malteser International. The aim is not just to treat patients, but also to tackle the root causes of sickness in their environment. This is done by establishing functioning medical structures, and protecting health by ensuring people have access to adequate nutrition, as well as water, sanitation and hygiene (WASH). This integrated approach also encompasses providing measures to improve the mental health of people affected by the trauma of conflict and disaster. Climate change, armed conflict, population displacement, and poverty all work together to make the modern world an increasingly complex environment for humanitarian aid. As an aid organization, Malteser International faces the challenge of developing new and sustainable solutions to help people in need. Accordingly, Disaster Risk Reduction plays a central role in the projects. Malteser International takes a holistic approach to its work: seeking to strengthen the resilience of people in especially vulnerable regions against future crises.